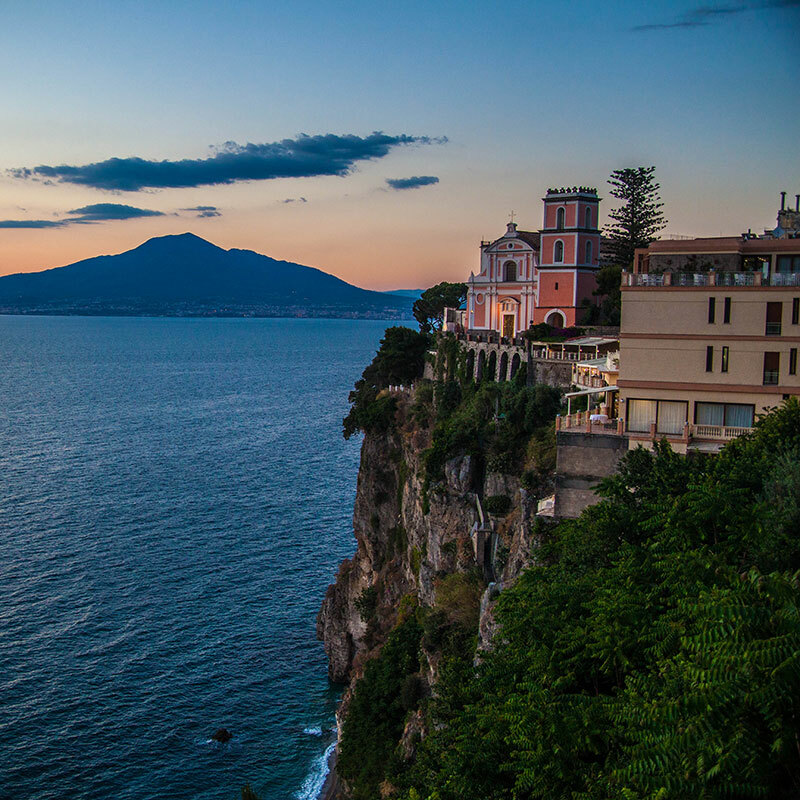 Named after a beautiful nymph, loved by Hercules, Amalfi is the principal town on the spectacular 'Amalfi Coast', situated on the south side of the Sorrento peninsular which forms the southern end of the Bay of Naples. 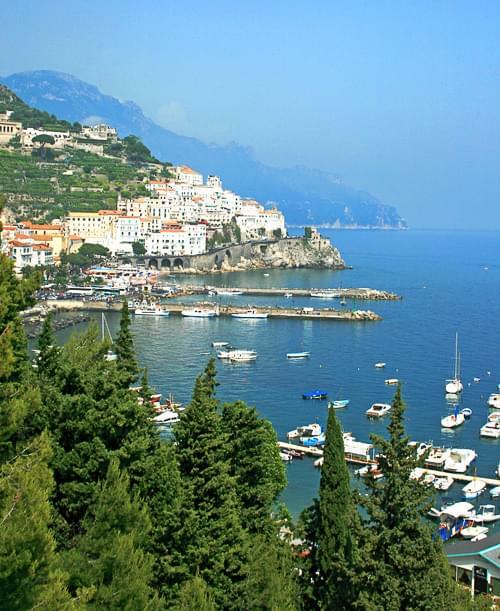 The area has long been a favourite destination for tourists who come for the spectacular scenery, the dramatic views, the attractive seascape and the pretty seaside towns of Vietri sul mare, Maiori, Minori, Amalfi, Ravello and Positano. 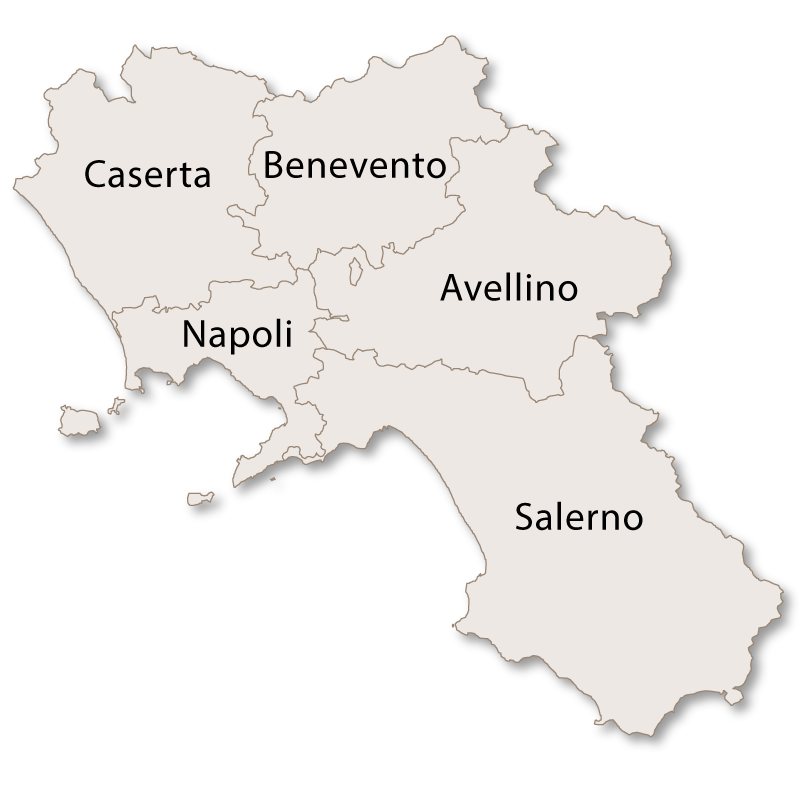 There are ferry trips that leave Salerno and call in at several of these towns, before going on to Sorrento and Capri. 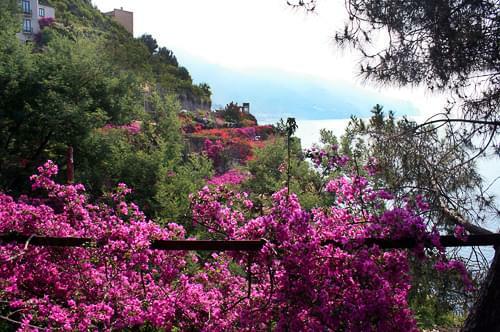 There is also a spectacular mountain road called the 'Amalfi Drive', that winds its way between Amalfi and Sorrento. The road is a testiment to the skill of Italian engineering, and to the skill of the local bus drivers! For visiting drivers it can be an extremely nerve-racking experience, but it provides stunning views for the passenger. 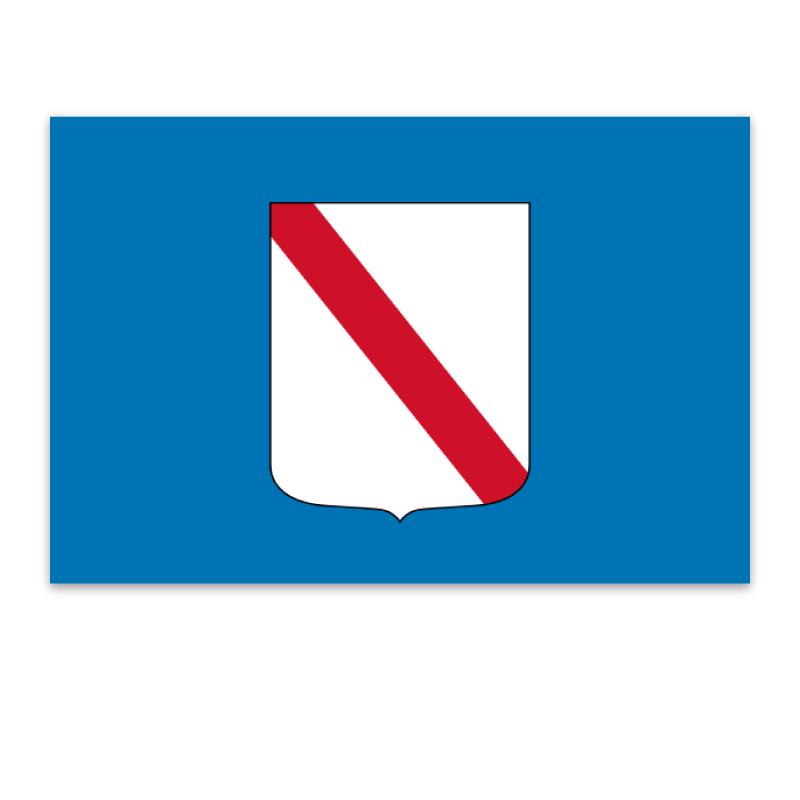 During the 10th and 11th centuries, Amalfi was an independent state known as the Duchy of Amalfi and famous for its maritime prowess. 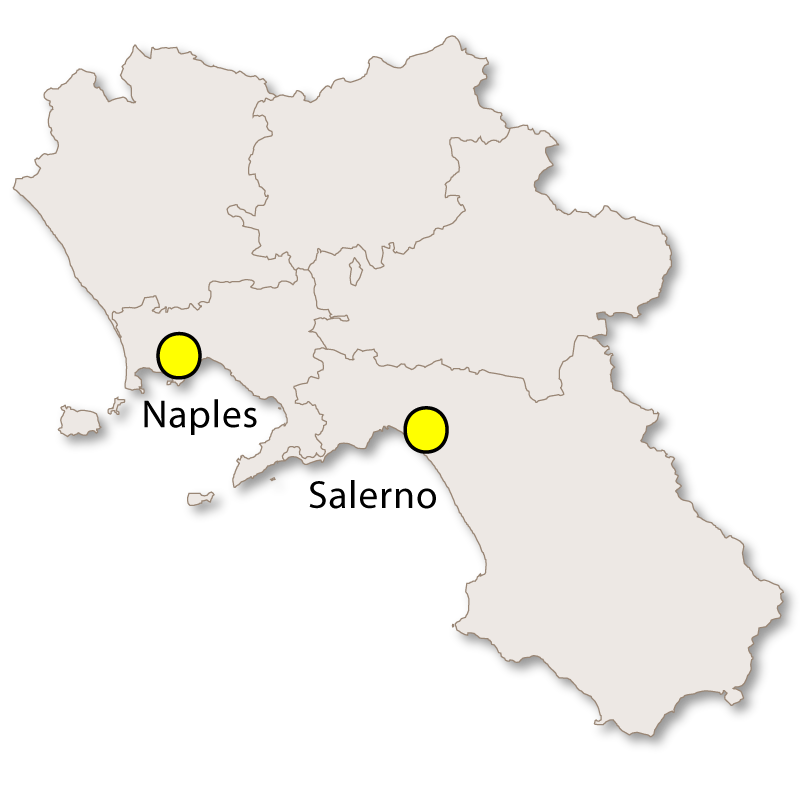 Amalfi was the most wealthy and powerful Of the four Maritime Republics, before being overtaken by the other three: Pisa, Genoa and Venice. In the year 977, a well known Arab traveller wrote of Amalfi: "...the most prosperous Lombard city, the most noble, the most illustrious for its conditions, the most wealthy and opulent. 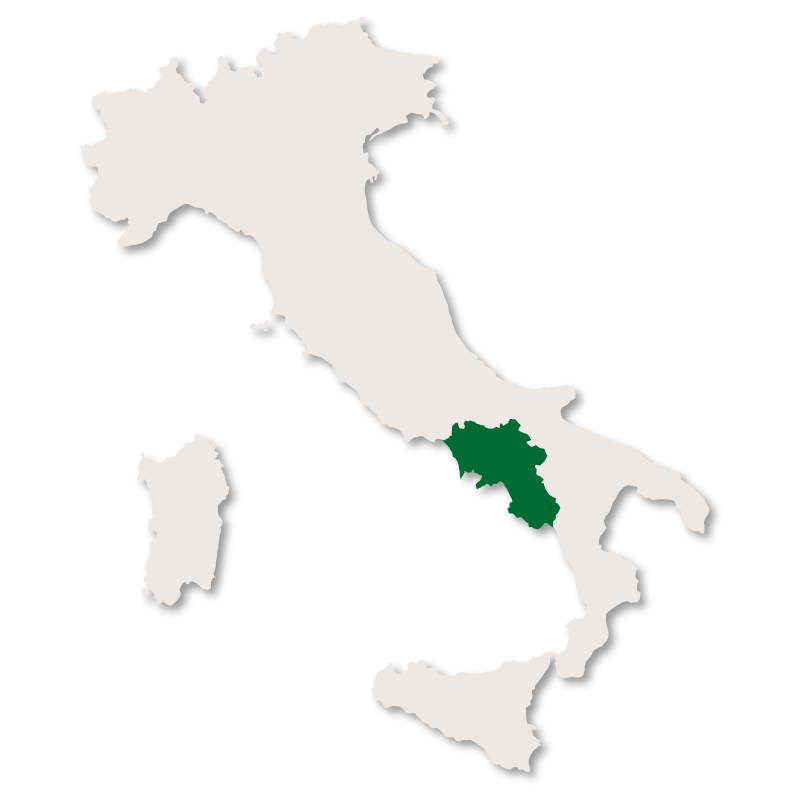 The territory of Amalfi borders that of Naples; a beautiful city, but less important than Amalfi". Amalfi's maritime past is celebrated with the 'Historical Regata', a traditional rowing competition between the four maritime republics: Amalfi, Genoa, Pisa and Venice. 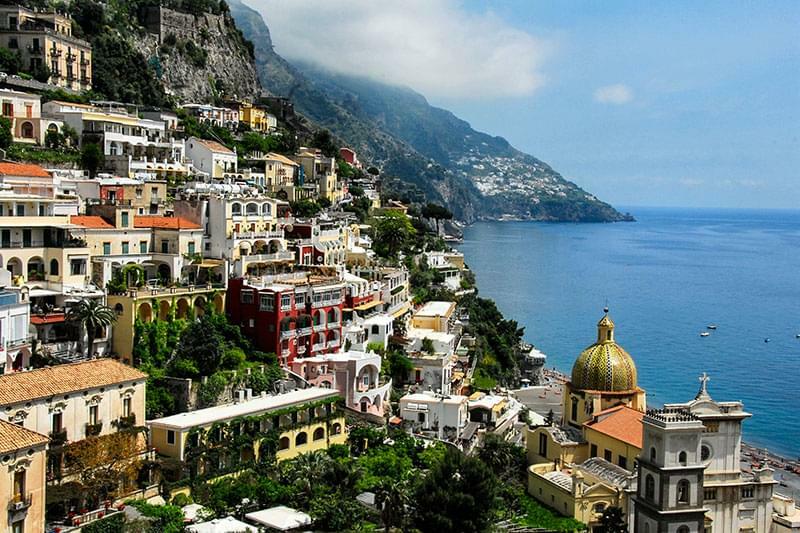 The event is hosted by a different city every year, so itcomes to Amalfi once every four years. It takes place on the first Sunday in June. Amalfi has been providing hospitality to visitors since Roman times, when the area was a popular holiday retreat for the Emperors: Augustus and Tiberius. More recently, Amalfi accommodated members of the European aristocracy on their 'Grand Tour' during the 18th and 19th centuries. The 20th century saw the arrival of film stars, musicians, artists and writers, many of whom bought up lavish villas and holiday estates in the area. 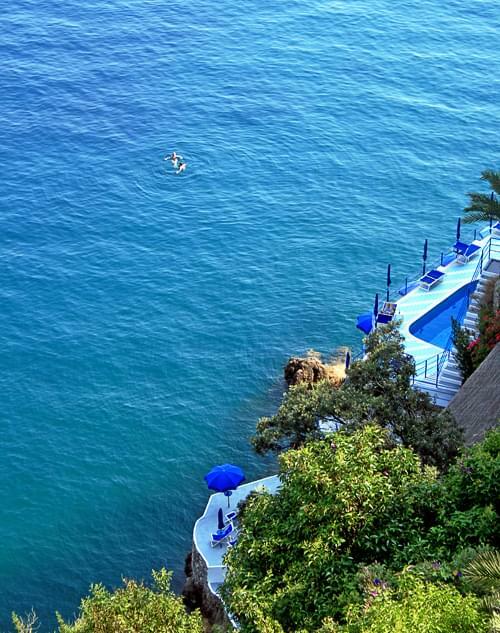 Ballet star, Rudolph Nuryev once owned a property on an island just off the town of Positano. Today, the area is one of the most popular tourist destinations in the world, and rightly so. Protected as a Unesco World Heritage Site, Amalfi and the Amalfi coast have plenty to offer the visitor. 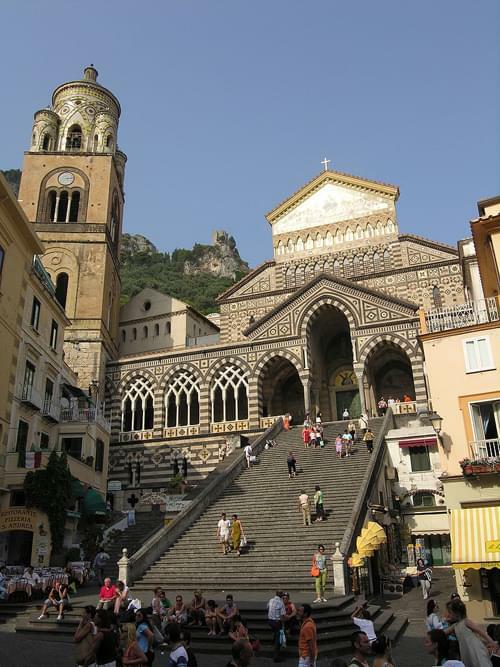 Apart from the unique, stunningly beautiful scenery, Amalfi has plenty of art and culture to offer including: The Cathedral, the Shrine of Saint Andrew and The Chiostro del Paradiso. 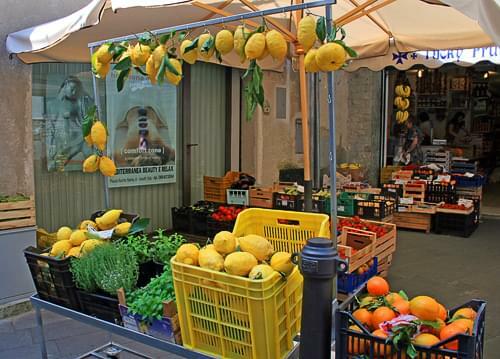 The area is also famous for producing 'Limoncello' a refreshing liquer drink made from local lemons.